You don’t have to find pre-made knit headwear to decorate when you can just do it yourself. 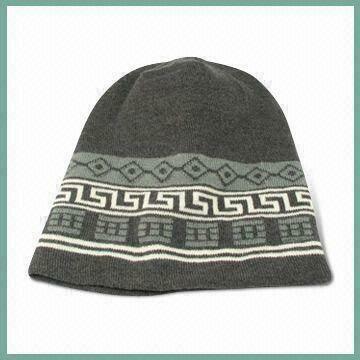 We at AMBRO Manufacturing have the services you’ll need to customize your own knit headwear and so much more. Even if you’re just getting started on your customization path we can show you the way to your own amazing products. You don’t need to know how to customize your own knit headwear already because we’ll help you take it from idea to reality. We have our own knitting machines in-house to produce your knit beanies or headband right from the strands of yarn. You provide the design and we’ll convert it into a knit-ready image so that you’ll know what the finished product will be before the machines even begin. Since we control the production you can modify features like color, pom poms, cuffs, fringes, and lengths. You’re sure to find the right look for whatever the occasion may be. We make it all available remotely so you can coordinate all of your orders over the phone or through the internet which makes it so convenient when you’ve got other tasks to attend to. So if you’re ready to customize your own knit headwear then you only need to reach out to one of our representatives and we’ll be happy to guide you from there. We handle all of our production right here in our own facility to maintain superior quality control, so you can rely on us to deliver each and every time. You don’t need anything special to get started, so you can contact us today to place an order, or to find out more about our company and all of the customization services we have to offer, by email or by giving us a call at (908) 806-8337.